With PCs, telephones, printers or access points, even small offices, business premises, and home offices today have to integrate large numbers of separate components into the network. This switch provides a straightforward solution. Due to its small size, it is easy to position wherever it is needed. Furthermore, the rugged metal housing is fanless, so there is no noise to affect office operations.s. 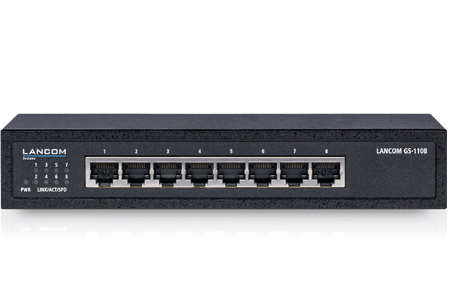 The LANCOM GS-1108 is equipped with 8 Gigabit Ethernet ports. With a data throughput of 16 Gbps on the backplane, it offers full performance even under load. 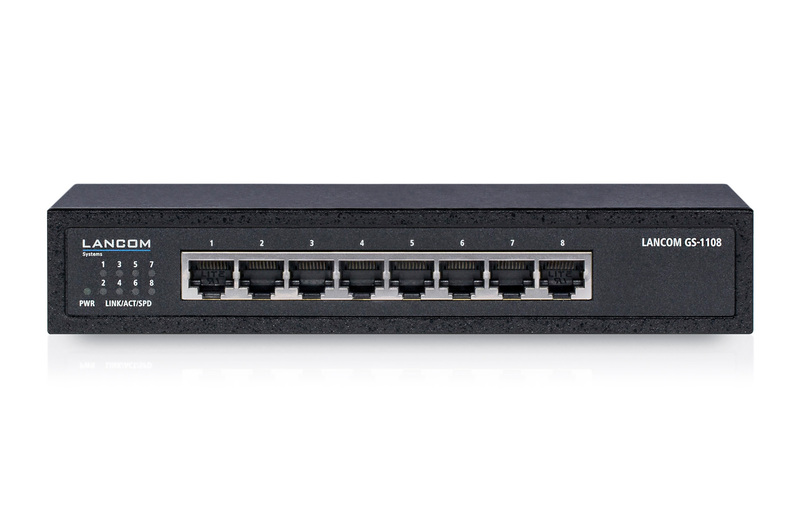 This makes the switch a high-performance basis for modern network infrastructures in small and home offices. The integrated power supply makes the LANCOM GS-1108 a real space saver that finds its place even in the smallest offices. Its fanless design makes this switch ideal for desktop operation in small installations. The robust and non-slip metal housing is effective protection for the desktop switch against outside influences as it is highly resistant to everyday knocks.